If you’ve ever walked into a botanical garden or been fortunate enough to travel to a tropical area, you’ve been blasted by warm, humid air. When I first got into houseplants and tropical plants, I was shocked at how much humidity some of them needed to thrive. Taking care of my new plants seemed simple enough: just give them more humidity, right? Unfortunately, I live in an area that gets a lot of sun but doesn’t naturally have high humidity (Zone 10b). I also grow plants that hate high humidity as well, so I didn’t want to just increase the humidity in my garden overall. So, what could I do for my precious plants that love bathing in humid air? First, I tried out humidity trays, which are just trays half-filled with water and pebbles. I placed my plants on top of them and hoped for the best. It worked — a little. After a while, even this method failed me and I decided to purchase a humidifier to solve my problem. 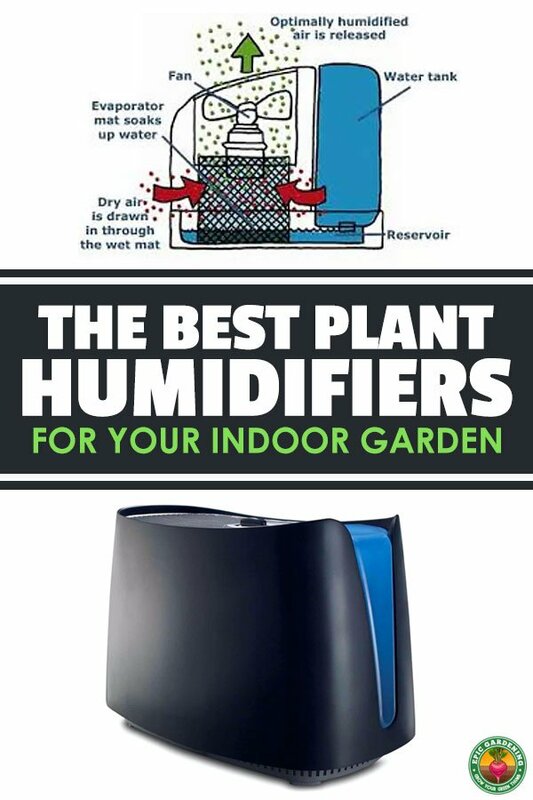 The problem is, most humidifiers are made for people, not plants. I had to dig deep into the qualities of humidifiers to figure out which ones were the best fit for my green babies. Below is my advice for selecting the best plant humidifier, as well as some of my recommendations. I’ve listed my recommendations quickly at the top, but I also go into them in more detail below. It’s important to understand what humidity is and why certain plants need higher or lower levels of it. By understanding this, we’re able to customize our plant’s environments so they truly thrive. At its simplest, humidity is a measure of the amount of water vapor present in the air. Relative humidity – How much water vapor the air is currently holding relative to how much it can hold at a certain temperature. Absolute humidity – How much water is in a cubic meter of air. When I said that warm air “holds” more water, that wasn’t quite accurate. Warmer air simply causes water to evaporate faster, resulting in more water vapor in the air. Why Do Some Plants Need Higher Humidity? Plants evolved to adapt to their native environments. In areas where high humidity is the norm, many plants responded by reducing the amount of water that their leaves can hold. Just like how succulents adapted to hold a lot of water in their leaves, plants native to high humidity areas adapted to do the exact opposite. Some plants also don’t have robust root systems, so they can’t draw much water from the ground. Furthermore, epiphytes are plants that absorb all of the water they need from the surrounding environment, meaning that they require high humidity to survive. Humidifiers work in three basic ways: warm mist, ultrasonic, and evaporative. 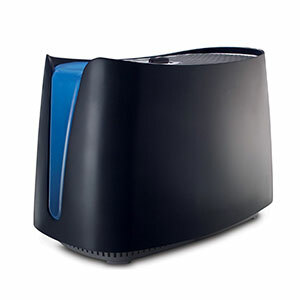 Warm Mist Humidifiers: These are the most common type of humidifier on the market. The way they work is simple: they heat water up to a high temperature, causing it to become water vapor. It’s then sent out into the environment to boost the humidity of the surrounding area. Ultrasonic Humidifiers: These are a unique type of humidifier that use vibration to increase the evaporation rate of the water in the tank. You’ll be able to tell it’s an ultrasonic humidifier by the quality of the mist — it’s quite fine and wispy. Evaporative Humidifiers: These use air flow to create vapor. You may know of swamp coolers, which work similarly. Evaporative coolers draw water from their tanks over a wicking material (like cloth or felt). Next, a fan forces air over the wet wicking material, which adds water vapor to the air. It then flows out into your garden, giving your plants the humidity they so desperately want. You might be wondering whether it matters if your humidifier puts out warm or cold mist. The answer is: no! It doesn’t really matter at all. The increase or decrease in temperature that results from warm or cold mist will be barely noticeable. One potential benefit to warm-mist humidifiers is that they create mist via evaporation, so the water vapor will be purified. However, they tend to use a bit more electricity as they need to heat up the water. Cold-misting humidifiers tend to use less energy and can be run for longer periods of time, making them lower-maintenance choices overall. Run Time – At least 12 hours of run time and ideally over 24 hours. You don’t want to have to refill it constantly. Simple Design – You’ll be using your humidifier more than most, so it must be easy to maintain and take apart. Small and Attractive – These aren’t necessary features, but I personally like looking at well-designed and compact humidifiers! These rules go out the window if you are trying to increase the humidity in a larger space like a greenhouse. You should probably go with misters or foggers to humidify a space of that scale. It’s not enough to plop a humidifier in your garden, turn it on, and expect your plants to thrive. You have to build an environment that is conducive to high humidity as well. Proper airflow is a must, especially because many diseases thrive in high humidity environments. If you let water condense and sit on your plants, you’re asking for leaf spot fungus and all sorts of other diseases. A good rule of thumb is to completely clean your humidifier a few times a month. Because you’ll be using it often, you’ll have a salt, fungus, or mold buildup quicker than other users. To clean, simply deconstruct the humidifier and soak the parts in a mixture of water and vinegar. The Honeywell model is my top pick for the best plant humidifier you can buy. It’s an evaporative humidifier that includes ultraviolet technology to disinfect and sterilize the water as it passes through the system. This is great for our purposes, because the last thing we want is to disperse pathogens through the air in water vapor. It has a 24-hour run time, which is twice as long as my budget humidifier pick. It comes apart easily for cleaning and maintenance and also includes a filter to remove minerals and salts from the water before evaporation. For all its benefits, the filter is also the only downside as it needs to be replaced every so often. It’s also bigger than most humidifiers, but not by much so it’s not a huge deal. It comes in either white or black and is only around ~$15 more expensive than my value pick. To me, that makes the Honeywell Cool Mist Humidifier a no-brainer purchase. Vicks is a mainstay in humidifiers. In fact, this is the humidifier that I used when I was sick as a kid! Who would have thought I’d be using it to boost humidity for all of my tropical plants many years later. It has a 1-gallon tank that will run for at least 12 hours. On top of that, it turns itself off when it runs out of vapor, preventing the unit from damaging itself. It has a high and low setting, but for our purposes you should only need to use the low setting. It’s not noisy and is exceptionally easy to take apart and wipe clean. 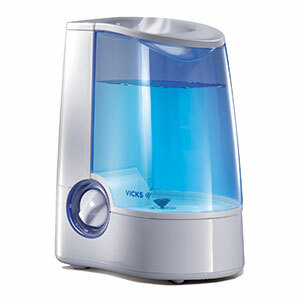 For these reasons, the Vicks Warm Mist Humidifier is the budget pick for best plant humidifier. Where is the best place to put humidifier? Is it good or bad to place humidifier too close to the plants? I’d avoid putting it too close. You want to create a stable environment for the plant and the area right around a humidifier will have the most variability. I’d keep it in the room at least 5-6′ away. Thanks – next Honeywell I buy will be as you recommend. Model I’m using seems about 13 years old. Sounds like it’s time for an upgrade!